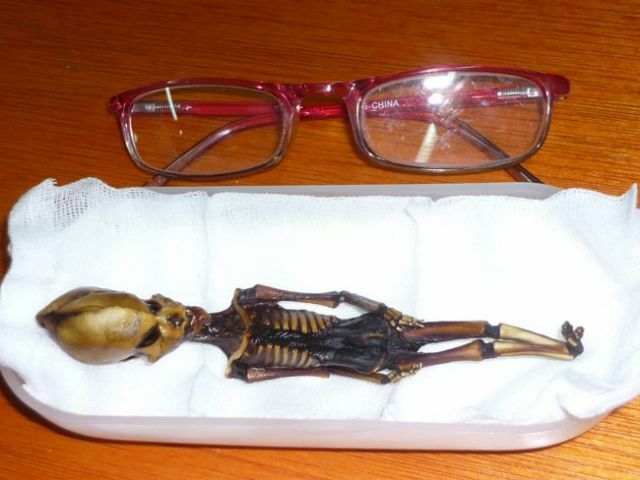 A 6-inch tiny skeleton with a large head was found in Chile’s Atacama desert region back in 2003. Ever since then scientists are astonished by its mysterious and bizarre composition and they doubt that it could be the skeleton of an Alien. The research over this skeleton is going on for the last 12 years and a conclusive decision about the human-like skeleton hasn’t been formed yet. 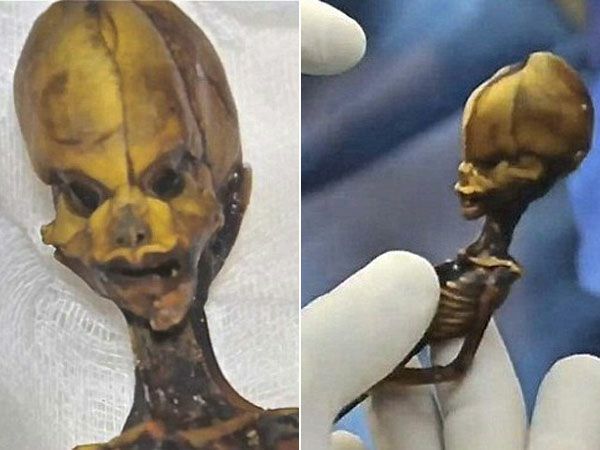 Some doubt that it is mummified fetus or deformed human child, while some other speculate that it could be sign of alien life since this type of creature has never been seen on earth. The first assumptions theorized that the skeleton could be thousands of years old as the dry conditions of Atacama desert should have preserved the skeleton for this much time. But detailed studies proved that theory wrong and the research team said that, “the DNA was modern, abandoned, and high quality” which reveal that the skeleton is not that ancient. However, more than 10-years of rigorous study about the skeleton has not revealed any firm evidence that could give an indication of it’s origin. The research was conducted by a famous American University by taking a DNA sample from bone marrow extracted from the skeleton. With the advancements in technology, especially in genetics, we could definitely hope that further studies about the skeleton would reveal some concrete evidences regarding the origin of the skeleton. If it is indeed a sign of alien life it can, as and when it happens, confirm our age-old presumption that “we are not alone in this Universe”.